You can upload supplemental files as part of your Conversations messages. To attach a file, click the Paperclip icon. You can upload additional files by clicking the paperclip icon  again. If you accidentally select the wrong file, press the Delete icon  to remove it, or click the paperclip icon or double click the file to select a different file. When you are finished, click the Send button . The attachments will appear below the message. To view the file, click the link. 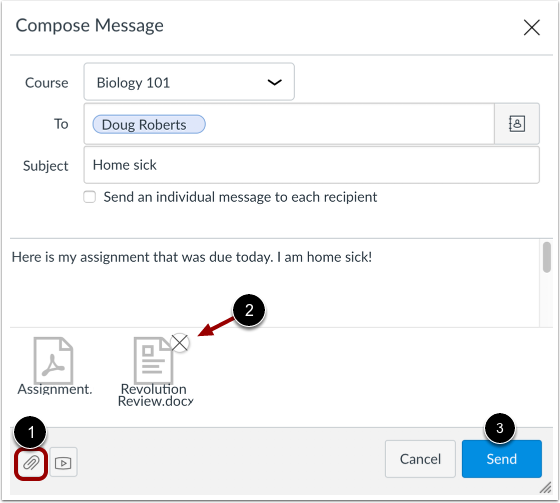 Previous Topic:How do I send a message to all course users in Conversations as a student? 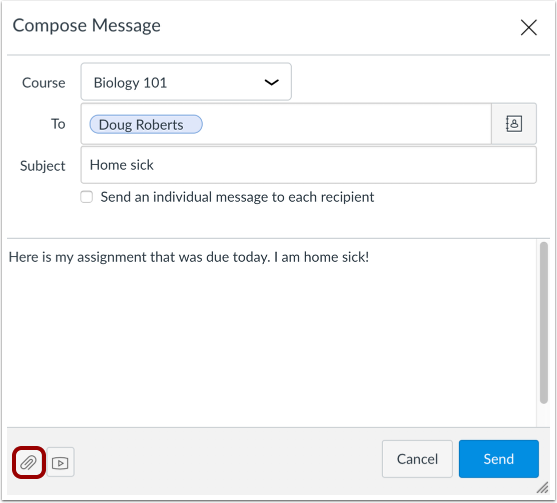 Next Topic:How do I attach a media comment to a message as a student? 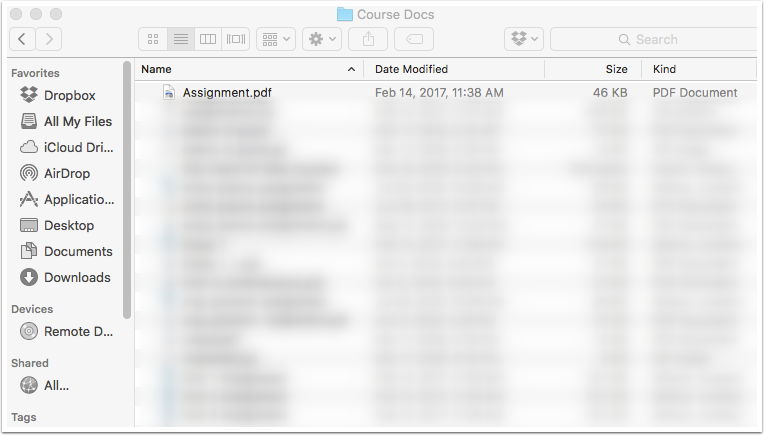 Table of Contents > Conversations > How do I attach a file to a message as a student?